If we look at the statistics of the previous year 2018, the Australian government had granted 138, 086 permanent visas. While out of 138,086 permanent visas, two-thirds of these permanent visas were skilled visas. Are you a skilled worker or skilled professional and want to work in Australia? 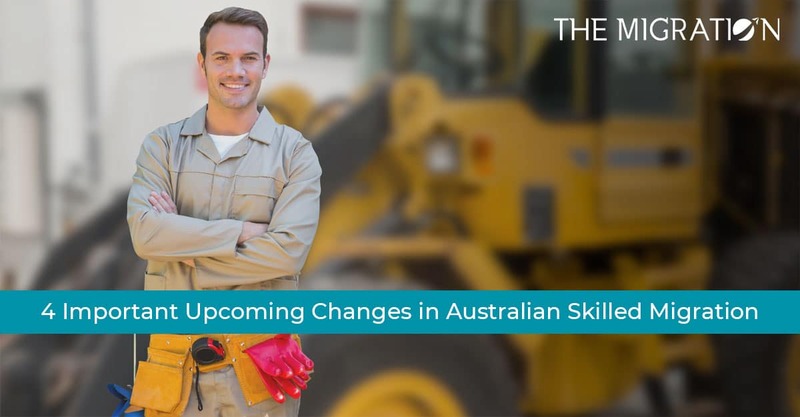 It is very important for you to know about the new upcoming important changes in Australian Skilled Migration for Regional areas. However, these amendments are basically the introduction of three new Skilled Regional Provisional visas. The aim of introducing these new visas is to stabilize the population of skilled workers in major cities and to deliver the skills to regional areas of Australia. If we talk more about these changes, it includes the introduction of two temporary and one permanent skilled regional visa. In addition, changes in the points system for skilled migration is also very favorable for many skilled people who want to come to Australia. The commencement of these three visas is for designated regional areas and will include all Australia except Sydney, Melbourne, Perth, Brisbane, and the Gold Coast. To clarify, here are the details of three new visas and revision of the points system. One more important change is the introduction of an improved and enhanced employer-sponsored visa to distribute skill in regional Australia. This visa is basically the enhanced form of Subclass 187 – Regional Sponsored Migration Scheme Visa. Eligible Australian employers can sponsor the skilled applicant to meet the shortage of skill by working in regional Australia. This new visa will close the Subclass 187, except for some transitional cohorts. In other words, Subclass 187 is superseded by Subclass 494. However, this visa will also be introduced on 16 November 2019. The commencement date announced for this permanent visa is 16 November 2022. The date is delayed because of the eligibility requirement of holding the regional provisional visas for at least three years. 10 additional points for applicants who do not have a spouse or de facto partner. Are you planning to come to Australia? It is very important to have up to date knowledge and information about changes in Australian Immigration. You can take advantage of a change in Australian skilled migration for regional areas if you are fully aware of the change. So, it is advisable to take the advice of the professionals before taking any step to avoid any problem or difficulty. Increase your chance of getting the Australian skilled visa and permanent residency. Therefore, you can take professional guidance and assistance from the team of our qualified and Registered migration consultants .Our team of migration consultants will provide you with the right assistance in this process of getting an Australian visa.